“As much as 80 percent of the projects did not meet standards,” Khadik Triyanto, the agency’s head of manpower monitoring, said on Wednesday March 21. The standards he referred to are stipulated in Ministerial Regulation No. 1/1980 on construction work safety. The figure was the result of an inspection conducted on 35 existing projects in November last year. “A large number of projects also lack occupational safety and health [K3] structures, as well as standard operating procedures for its workers,” Khadik added. Most of the construction workers were also observed to have permits and licenses, but not the necessary skills. Khadik has stated that he plans to deploy 43 supervisors to oversee the projects and gather data on the ongoing construction projects. “I will also invite high-risk contractors, so that we can see an improvement [in on-site safety],” he said. 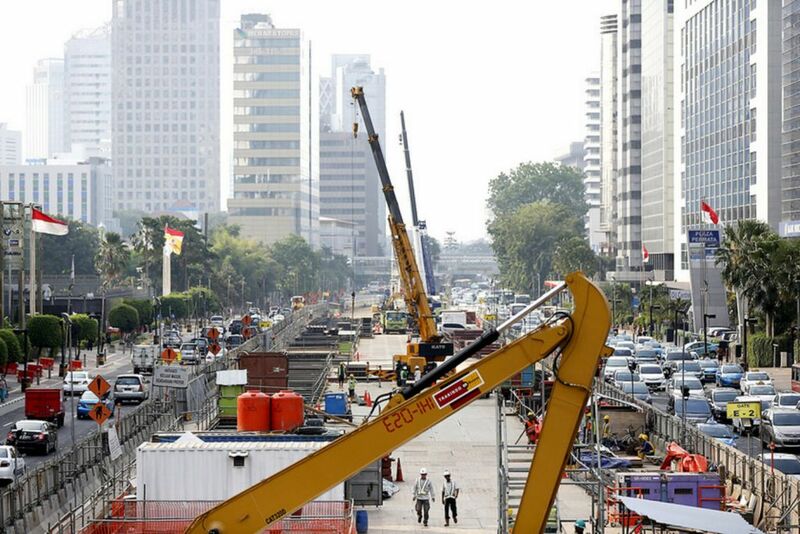 The latest construction accident occurred on Sunday in South Jakarta, where a woman was killed when an iron bar from the Pasar Rumput low-cost rental apartment project fell and struck her head.